The Softball and Tennis team getting ready for the beginning of the spring season. The final season for Cavalier sports in the 2018-2019 school year has arrived. In tennis and softball, there is a heavy demand for dedication and hard work as the student-athletes ensure they make the best of their opportunities out on the court and the field. Pre-season practices for both sports began just a few weeks ago when try-outs were being held for the first time this year. Throughout them all, students were assessed in the skills required for each sport. 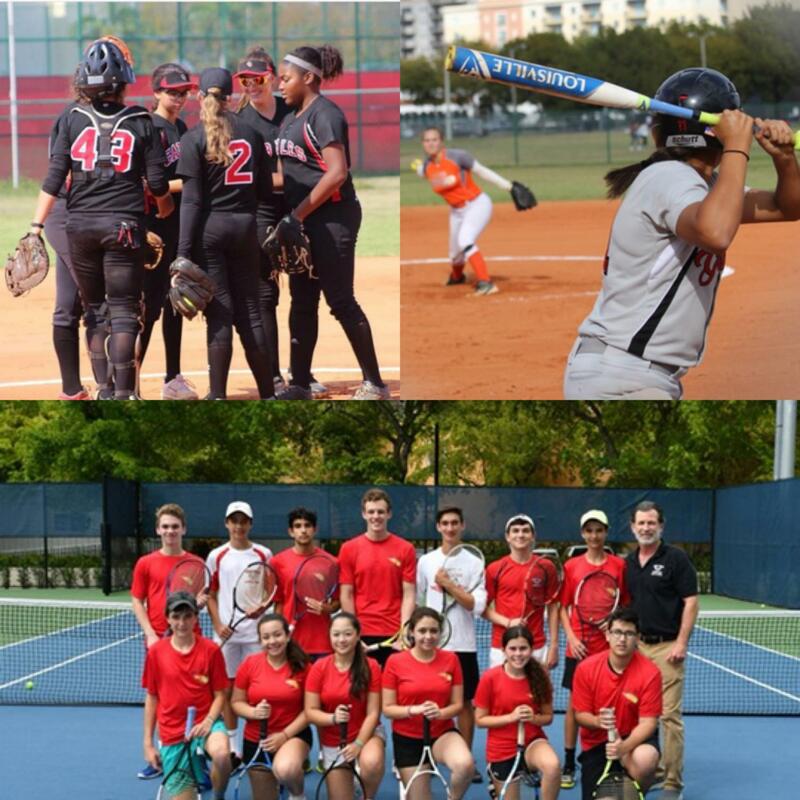 Under Coach De La Vega and Coach Wiener, the softball and tennis teams are in shape for great opportunities and success throughout the exciting spring season. 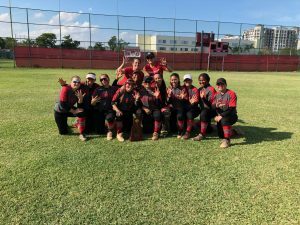 As the season drew ever closer for the Lady Cavalier Softball team, the expectations for the team’s success this season have remained high, as the softball team is coming off of a tremendous year in which they finished only a game away from reaching States. Despite this, however, they did emerge victorious with their fifth straight district championship and, for this reason, there is much to be excited about. The Lady Cavalier Softball team poses for a picture after finding out they won Districts for the fifth year in a row. “It feels great to start the season already. I’m excited to have a fresh start and practice harder than before so the Lady Cavalier Softball team becomes an overall well-rounded group of players,” junior Angelina Bonilla said. Prior to the commencement of the softball season, the Lady Cavalier team usually practiced from every weekday to get into proper shape. Their practices usually consist of perfecting the fundamentals of softball, such as catching and throwing. To change up their typical practice routines, however, they sometimes begin scrimmage games to practice in-game scenarios. If not, they split off into different groups that focus on working either infield or outfield drills. Throughout the preseason, the softball team had only two games. One was against the Coral Reef Senior High in which they lost by a score of 7-4, followed by a win over Key Gates. Their first game of the season was against Southridge High, and they took the victory in a run-ruled game by scoring 10 runs in the 5th inning to grant them the win. Especially against a good team, the win boosted team energy and made them confident in their abilities to perform well throughout the course of the season. “Overall, our first game of the season was energetic and fun. Everyone had great at-bats that day and, defensively, our pitchers did great. I believe we just have to come out and be game-ready with an energetic attitude and have that confidence that we’ve got each other’s backs no matter what,” senior Kylie Santana said. With such a successful first game to start off the season, the softball team is nothing but ecstatic for what the rest of the season awaits. They will train effortlessly to strengthen their skills to hopefully obtain their goal of reaching States. Make sure to go support your Lady Cavaliers at their upcoming game against South Miami on Mar. 19 at 3:30 P.M! The tennis team for this season! 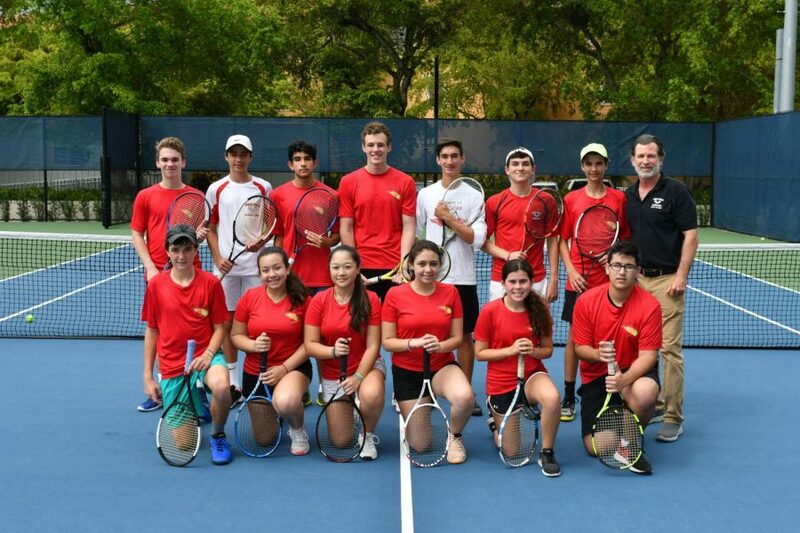 In their previous season, the Cavalier Tennis team had only lost to two teams and experienced an incredible season overall, seeing tremendous development from their younger players, with their older players exceeded all expectations. The two top players, Danny Krulig and Jack Lee, having been seniors, helped keep a high intensity level throughout the course of the season and paved the way for all of the players to grow and improve. Even though the whole team did not make it to States, Krulig and Lee advanced to States as singles players. 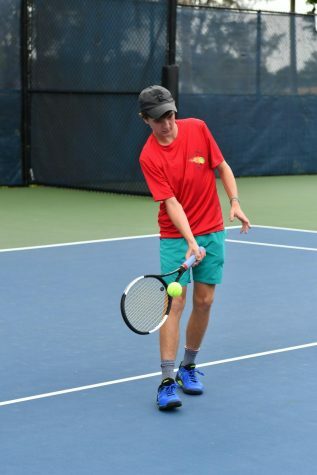 With the start of their new season, the Cavalier Tennis team is hard at work to improve their skills and, hopefully, find the same success as those that have come before them. This year, they have a fully-rostered team and are vying for a winning record. The Cavalier Tennis team practices take place on Tuesdays, Wednesdays and Thursday at the Biltmore Tennis Center at 3:00 P.M. every week. While on the court, the players do different types of sets to help them gain “in-game experience” for when they play competitively. Apart from the scheduled practices, most of the team members also practice outside of school. Antoine Hernandez during one of the Tennis practices. In their first game of the spring, they played a formidable opponent in Krop High, which is one of the Cavaliers’ biggest rivals. Antoine Hernandez, one of the boys on the team, was the only one to win both of his matches against Krop, who were District champions last year. “I played #5 and had a very close match, but eventually lost and we lost as a team. However, we have rearranged our rankings and when we inevitably meet them at Districts, I believe we will definitely win,” junior Chris Brazda said. Regardless of their early struggles, many around campus still hope for the best for their Cavalier tennis players, and are looking forward to a major turn-around by the season’s end. “Our season isn’t over yet, but our Girls’ seed 1 and 2 should have a winning record by the end of the season,” sophomore Vivian Lowe said. Recently, the boys have been dominating and beat Miami Beach High, much to the delight of the team as they had lost to them in the regular season last year. Everyone on the tennis team is determined and committed to bettering their skills to get farther along in their competitions. Through their dedication, their hard work will pay off throughout this season, and it is evident to the eyes of the coaching staff and those observing around campus. Be sure to catch their next game on Wednesday, Mar. 20th, against Hialeah at the Biltmore at 2:00 P.M!